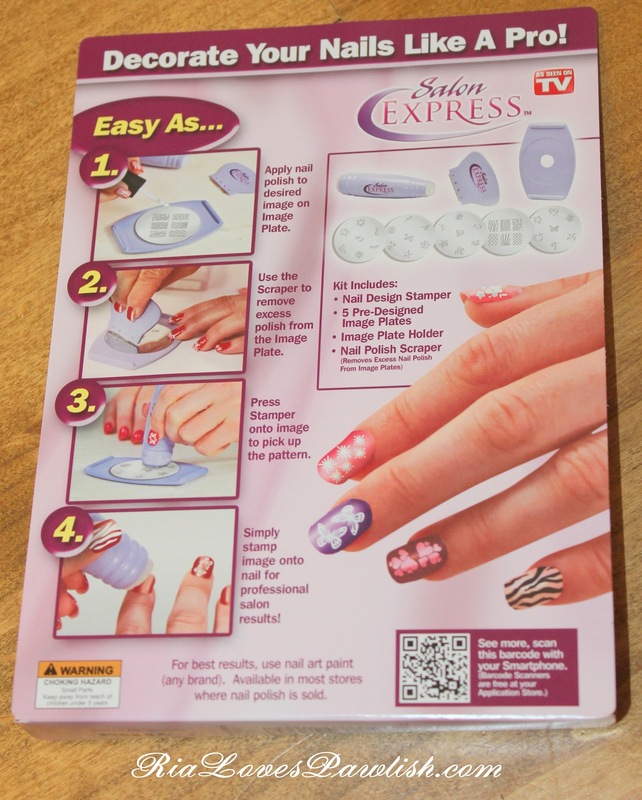 Ria Loves Pawlish: Haulage... Polishes and Salon Express! Mr. Pawlish and i went to a horse show today to check out that barn and see about my taking lessons there. it was really fun to watch the events... except for the fact that it rained! boooo on rain. but we stuck it out, because i wanted to see the advanced riders jump... it's so amazing to watch. i want to do that one day :) so, i start lessons next week! i'm excited to do something other than just walk single file on a trail ride, although that is fun, too. 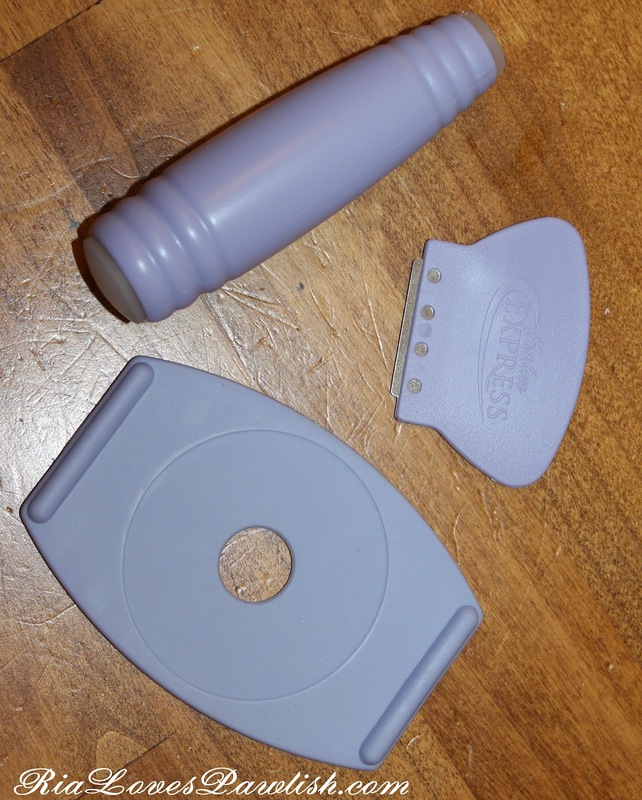 today's post is the haul i mentioned yesterday! this is a bit of collective haul, a lot was purchased on different days and from different stores. 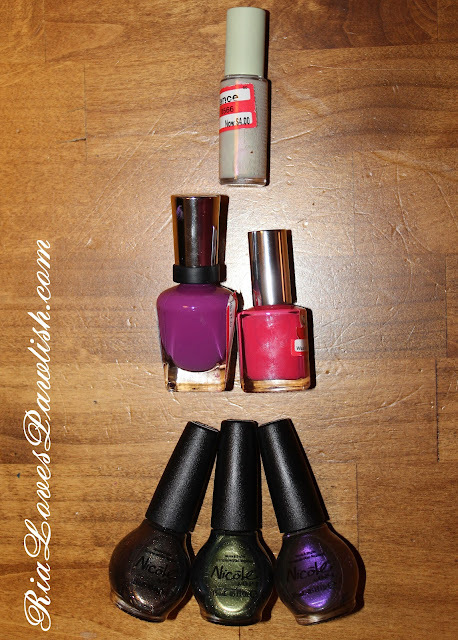 let's kick it off with the random polishes i've picked up on the clearance rack... and also ones that i've seen and just had to own! i was super excited to find a Pixi on clearance for half off, and the Nicole by OPI ones were full price, but they looked amazing, and two look like they might be dupes for some China Glaze Bohemia polishes... still have to get my hands on those. 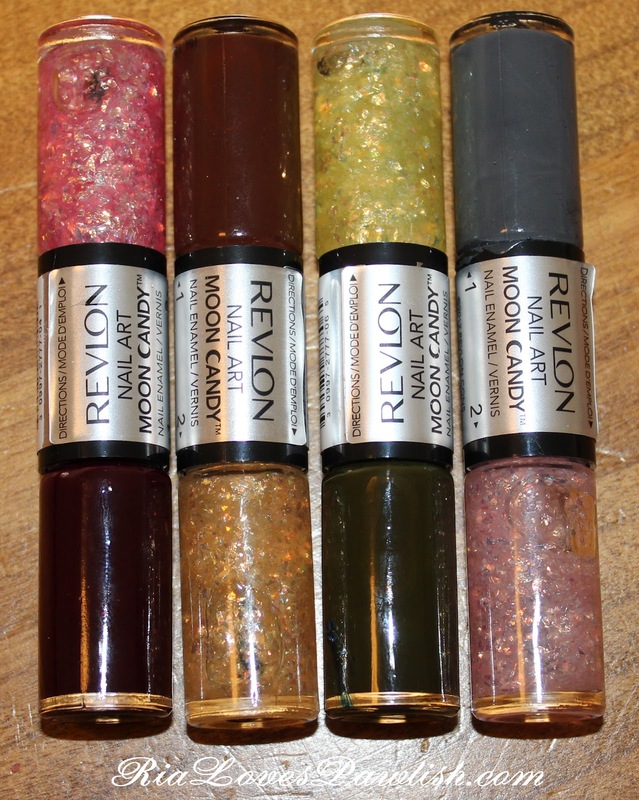 these are four of the Revlon Moon Candy polishes... sadly, they didn't have any left of the blue ones which look amazing. these all might be going back because, after swatching them, all the flakies look the same AND look like very dupe-ish for China Glaze Luxe and Lush. i found this Color Club set at Ross for $7.99... so exciting! 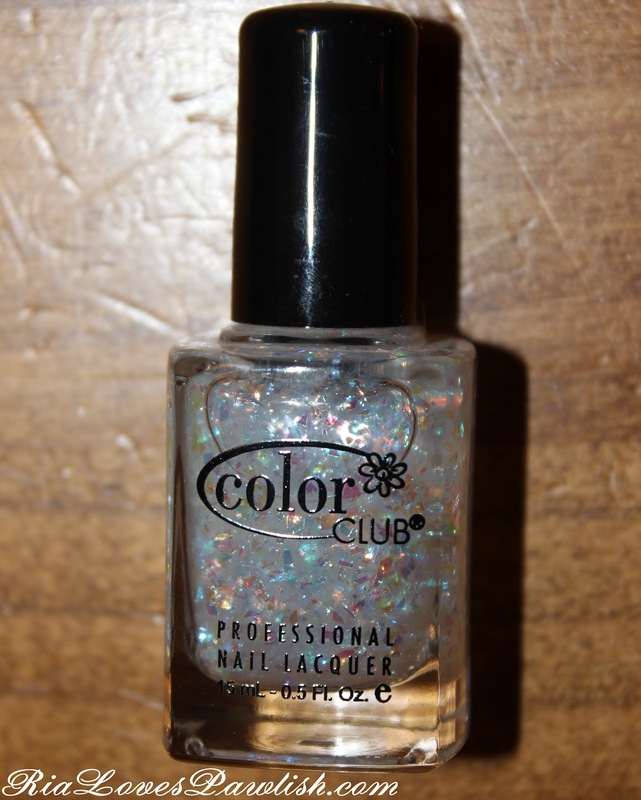 i've never tried a Color Club polish before, and these look amazing. i know i actually gasped out loud at the colors with holographic microglitter and the rainbow flakie! none of the bottles have names, so i'm going to have to do some research to figure out which ones they are. here's a closeup of that rainbow flakie! it's GORGEOUS on the nail! here's the actual stamping equipment... it's nice because the stamper on this one has a large end and a small end, and there is also a little silicone holder for the plates so they won't move around while you're using them. i appreciated that Salon Express included pictorial directions on the back of the insert! and finally, it comes with five plates! the entire set was only $6.99 at Ross (it's $9.99 most places) in the As Seen On TV section... obviously, the price point is phenomenally better than Konad! 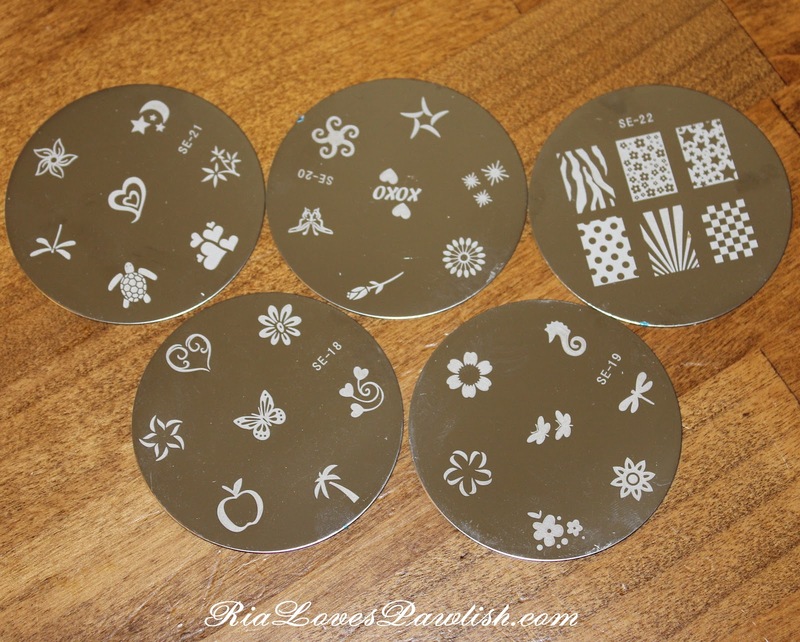 see what i got for $40 from Konad here. I'm dying!!! I drowned on my drool!!! 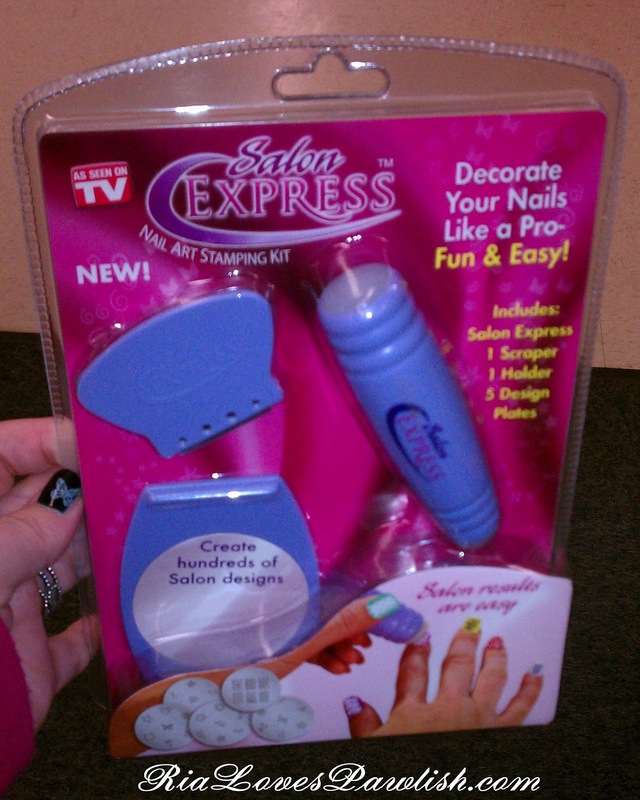 OH MY FABULOUSNESS!!!! 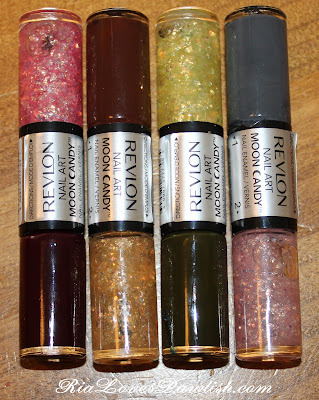 I'm just dying for those Revlon but nobody here has them. I don't know if they'll get them or if they're specific to a certain chain. And my word, my queendom for a Ross!! 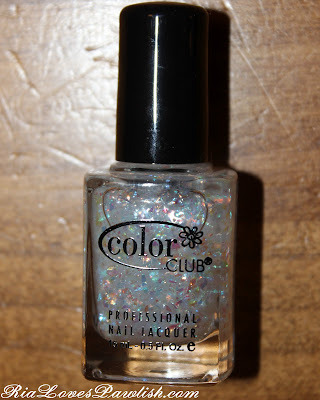 The Color Club!!!!!!!! *gasp* wow!! great items. well chosen. Take me with you!!! it's funny because i've never been a huge Ross fan! i LOVE TJ Maxx, i'm so bummed there aren't near here! Great haul! Those Color Clubs are gorgeous. I love shopping the clearance section...on most days you can find some awesome colors.